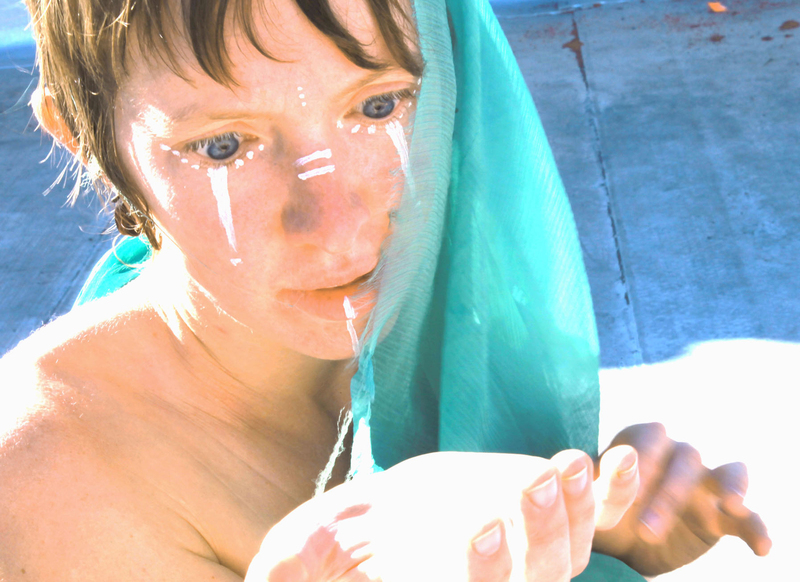 Kirsten Webb is a performer, writer, musician, artist, yogini, and healer who dances with land and the threads that connect us. A native Oregonian, she’s studied medieval manuscripts, writing, and experimental theatre at Yale University; trained with the Saratoga International Theatre Institute (NYC); engaged in guerilla performances in deserts, streets, and subway stations; presented serial sock-puppet variety shows on both coasts; and spent two summers building giant puppets, dancing, and playing klezmer fiddle with Bread and Puppet Theater (Vermont). 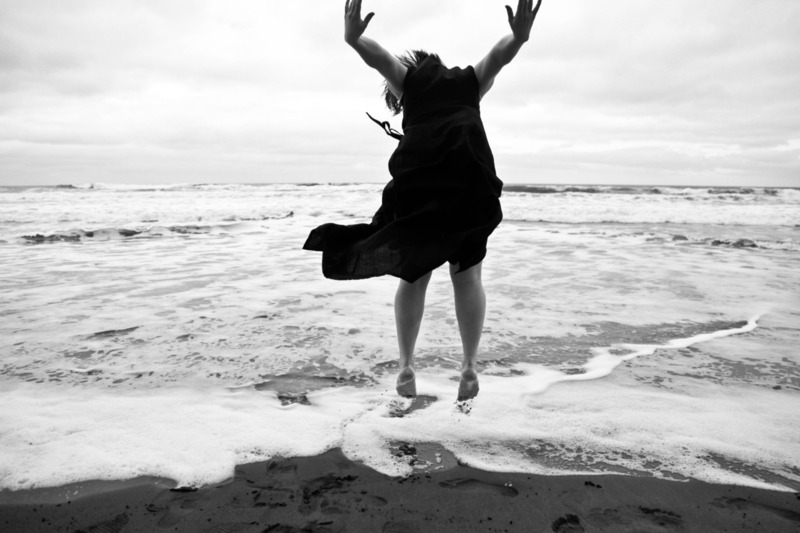 She has appeared onstage in Portland with Shaking the Tree and Water in the Desert/Mizu Desierto Butoh Theatre, creates as a solo artist, and makes magic with her co-founded company QAOS (Quantum Animal Observation Space). Current interests include plant medicine, harmonizing the internal and external landscape, and biking absolutely everywhere.